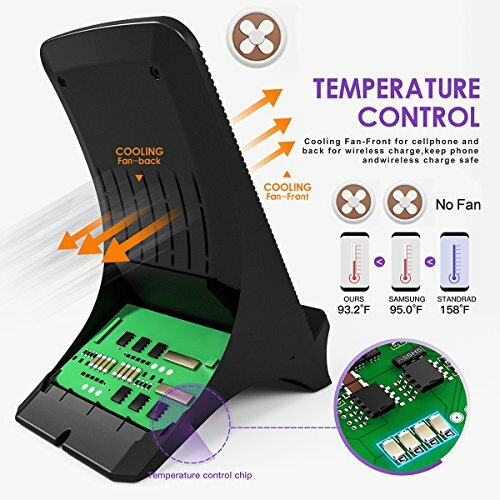 Wireless Charger built in cooling fan will continue to cool the phone and charger in the charging process, making charging more secure and increasing the charging speed by 1.5 times. 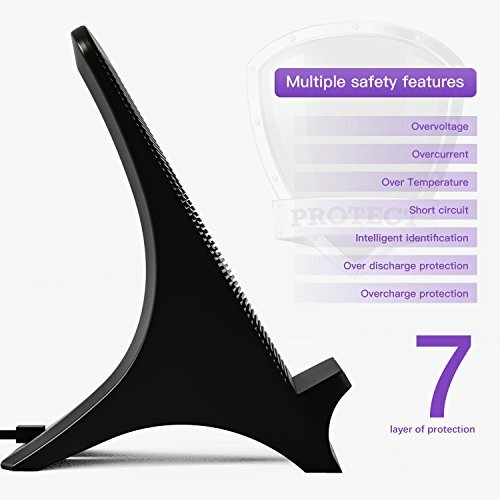 Low temperature charging to keep you phone and wireless charge safe! 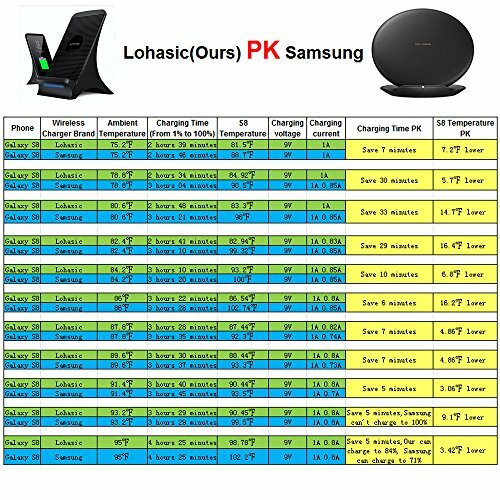 Fast Wireless charger modes are ONLY available for the Samsung Galaxy S8,Samsung Galaxy S8 Plus,Galaxy Note 5,Galaxy Note 8,Galaxy S6 Edge Plus,Galaxy S7,Galaxy S7 Edge and later models of the Galaxy Note and Galaxy S series,and other devices will charge all the Qi-enabled devices like iPhone x, iPhone 8 / 8 plus at a regular speed. 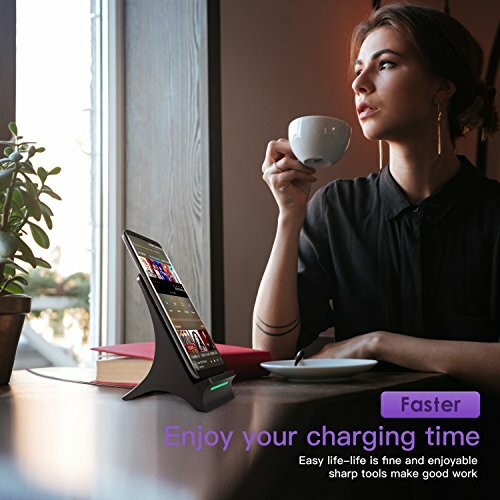 The Fast Wireless charger can transfer a faster charge to the device when used with the Fast Charge wall charger(Not include ). 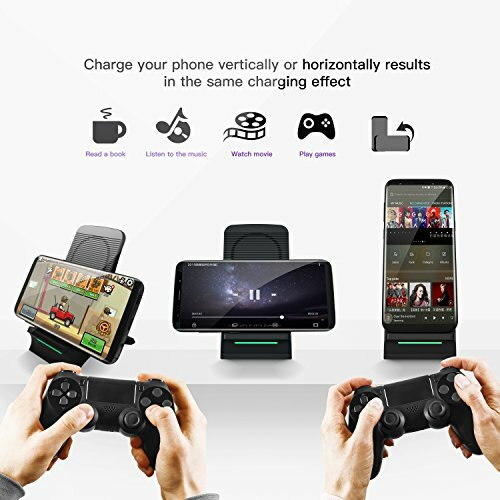 Holder Stand Design: Customers can charge their phone vertically or horizontally, which means we can enjoy movie and music,surf the net, play games, read the news, making calls or sending messages without interrupting while charging. 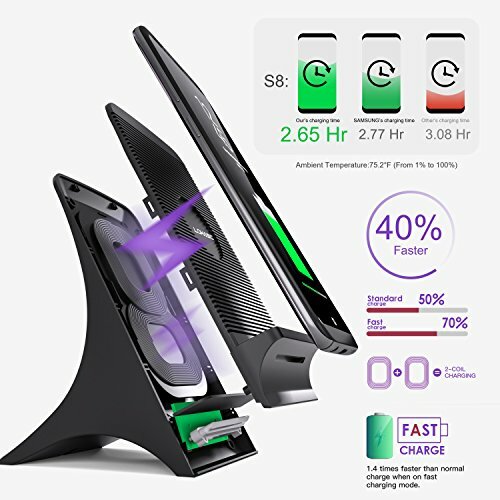 Sleep Friendly Design: Dim green light indicator in charging state, and LED automatically shut off when phone is unconnected/fully-charged. 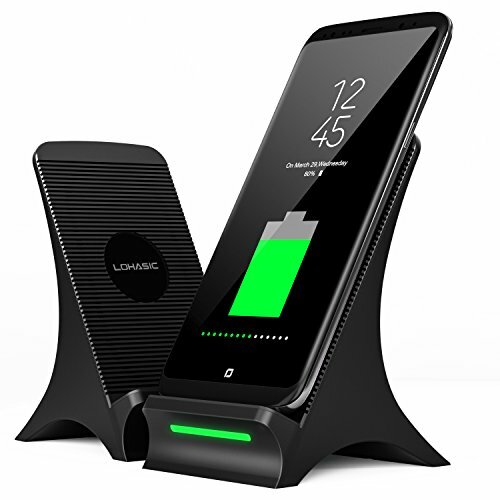 The wireless charging stand will turn into blue when it connect to the power, and will turn into green and stays when it start to charge the phone. 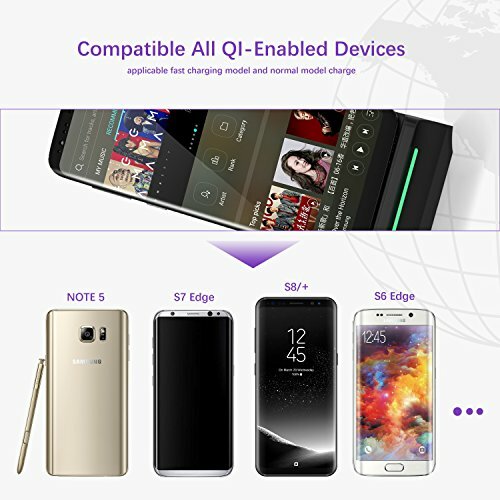 The phone will be charged again once the battery drop from 100% to 99%, making sure a fully-charged phone in the morning for you to go.